Watch our story by clicking the the image above. A native of the Clyde/Fremont area, Doug worked in a pizza place in high school. He loved it so much that he joked that he should open his own, and call it “Dougie John’s,” playing on a certain familiar name. After all, his full name is Douglas John Craig. 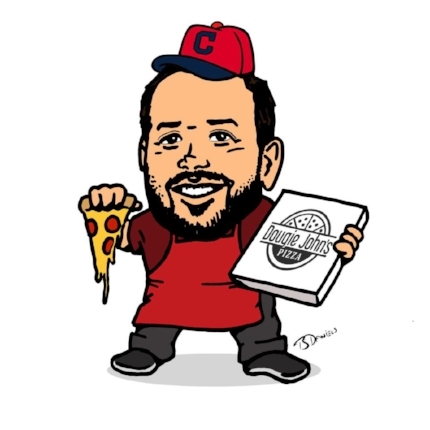 In 2011, the “Dougie John’s Pizza” dream became a reality when Doug opened a food-truck in Old Fort, Ohio. He continued his day job of selling fire protection supplies, but the truck gave him a chance to enjoy his beloved pastime - making seriously delicious pizza. 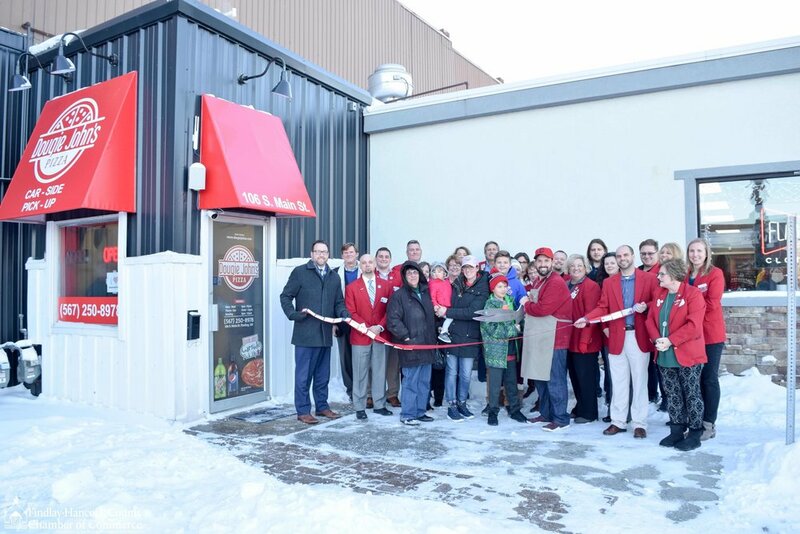 Dougie John’s Pizza opened its doors as Findlay’s only car-side pizzeria in November 2017, with an official Grand Opening celebration on January 2nd, 2018. The current location at 106 S. Main Street in Findlay is the first brick-and-mortar storefront. Doug has high hopes that there will be more. If you look at the Dougie John’s logo, there are 8 pepperonis on it - eventually we hope to have a total of 8 locations within 10 years.